If you have considered all the pros and cons and have come to the conclusion that going abroad for surgery is the right option for you then one of your next important decisions is find a reputable surgeon. There a few ways to go about doing this and it may cause a little extra work for you, but in the end, your intended surgeon is one of the most important elements in the process of having surgery abroad. You may be intending to undertake your own research when finding a reputable surgeon or you may have taken the route of going through a medical service provider, who will have undertaken the research on your behalf. Whichever route you have decided to take, it is best to ask many questions in order to satisfy yourself of your surgeon’s credentials. The first thing is get as much information as you can about the surgical process you are intending to have, and the country you are intending to use. The Internet will be a particularly helpful tool in finding out this information. Your doctor may also be helpful in providing you with information or pointing you in the right direction. If you are undertaking the research yourself then you will next need to contact the clinic, hospital or the surgeon themselves. This should be done by telephone or by email; emailing is perhaps initially the best option. Ask for details of the services they provide, cost, and if any brochures can be sent to you. 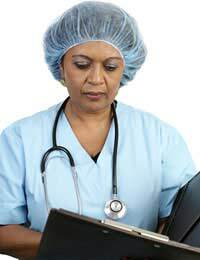 When finding a reputable surgeon make sure that you have a list of questions ready to ask. Do not be afraid to ask questions regarding qualifications, credentials and licences; this is your health, make sure you take responsibility for it. Checking qualifications is of the utmost importance and a reputable surgeon or doctor will not feel harassed or annoyed at being asked to prove his or her credentials. British surgeons and some surgeons working abroad will be registered with the General Medical Council, if not then each country will have an equivalent register for doctors, dentists and cosmetic surgeons. If you do get the chance to meet your surgeon before travelling, have some questions ready for him or her. Ask about the risk of your intended surgery, be very wary if the surgeon glides over this questions and does not talk about the risks. All surgery has risks, even when an excellent surgeon is performing the surgery. Medical service providers will have surgeons and clinics that they use and recommend time and again. Reputable service providers will have researched their surgeons and clinics beforehand and will be aware of the surgeon’s credentials. They should also have the ability to set up consultations between you and the surgeon before you fly to your intended country. If they cannot provide these meetings then you should shop around and go with a provider that can. If you are not fully happy with the answers that you are given then simply walk away and shop elsewhere, it is that simple. Never sign anything, or be pressurised into giving money until you are happy. You have the right to change your mind right up until you are on the operating table. Finding a reputable surgeon may take some effort on your part, but the effort will be worth it. Once you have undertaken your research you can then be at ease that you are in the best possible hands for your medical needs.